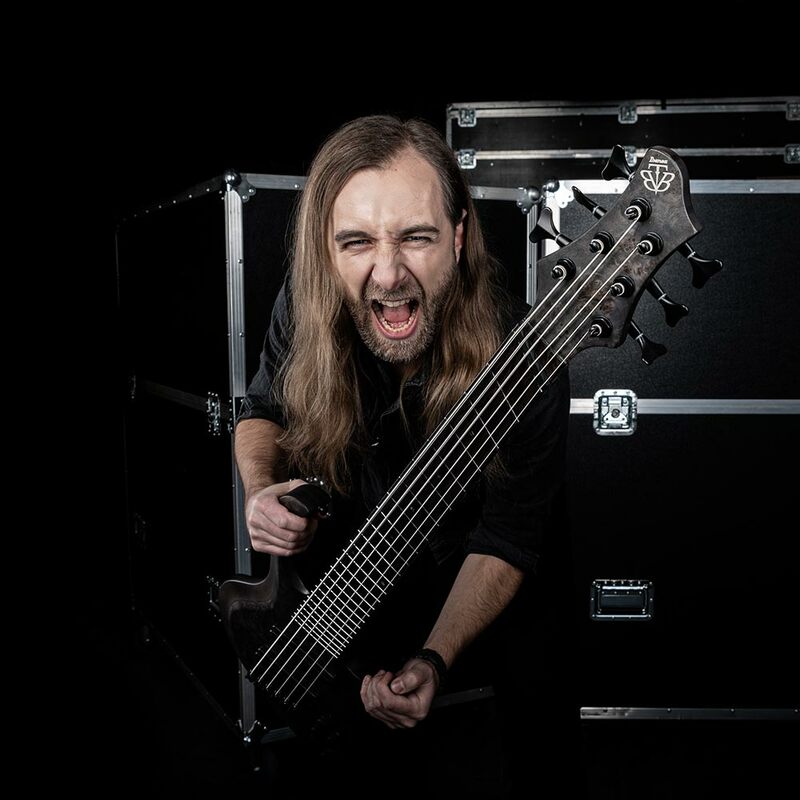 Known for his significant 6/7 string fretless bass sound Ibanez artist Linus Klausenitzer gained international fame. With German's biggest active Death Metal band Obscura he has toured intensely all around the world. After recording their masterpiece "Metatheosis" Noneuclid's pioneering spirit led to an appearance in the renowned contemporary music festivals "Dag in de Branding" (Den Haag) and "Dutch Music Days" (Amsterdam), where the band premiered the 25-minute death metal symphony "Black Vortex Cathedral" as soloists along with the world famous "Dutch Metropole Orchestra", in front of a stunned classical audience in the fall of 2008. In 2010, the band embarked on their next symphonic collaboration, this time with Linus's father Professor Ulf Klausenitzer's "Bavarian Chamber Orchestra": "Transition Metal", an encounter between the music of Richard Wagner and Noneuclid. In 2011 Linus Klausenitzer joined the band he is most known for: Obscura. Linus started extensive touring on multiple world tours with such renowned artists as Sepultura and Children of Bodom. Later Obscura started to play headliner tours in Europe, Australia, Central/North America (USA, Canada, Mexico) and Asia (Japan, United Arab Emirates, Thailand, Singapore, Indonesia, ...). Later Linus Klausenitzer started to give bass masterclasses ("Guitar Summit", "Popakademie" and many more) and to be a speaker about "a digital musician". Digital masterclasses are available at different online platforms like lowenduniversity.com and onlinelessons.tv.